Are you looking forward to a few days of Pathanamthitta holidays? 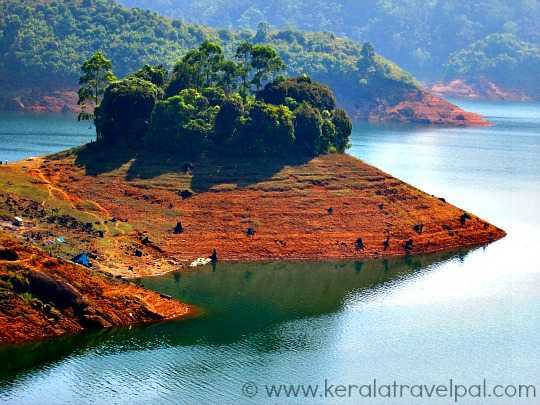 To get the most out of your stay in Pathanamthitta, some of the best spots to visit are Charalkunnu, Kakki Reservoir, Konni Elephant Training Centre, Perunthenaruvi waterfall, Kaviyoor, Aranmula and Gavi. Sabarimala, while being a top spot, may not be on every ones agenda. Also the temple opens only during certain times of the year. The most visited of all Pathanamthitta places is, of course, Sabarimala. A pilgrimage to Sabarimala is one of the most sacred religious acts for Hindus. For them, it is something that is not to be taken lightly, as the preparatory fasting and abstinence can last several weeks. The journey itself involves the hardship of walking uphill and through forests for more than 4 kms. The pilgrimage season is from Mid November till Mid January. The temple is open only for 41 days during this holy season. Millions of devotees climb the hills and reach to Sri Ayyappa, the deity. During rest of the year, the temple is open only on the first few days of every Malayalam month (Kerala's local calendar). Unlike other Kerala temples, Sabarimala is open to non Hindus. However, women between 10 and 50 years of age are not permitted inside. If Sabarimala visit is in your Pathanamthitta holidays plan, prepare and plan for a better time. The area gets very crowded at peak pilgrimage time and so may be hard to endure. 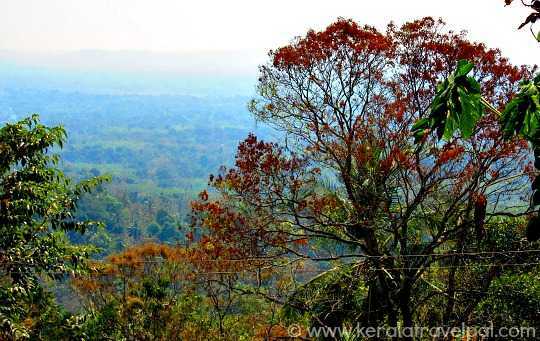 Charalkunnu is a hill station about 17 kms from Pathanamthitta town. Panoramic views of river Pamba along its forest frill sets the scene for romantic retreats and idyllic getaways. A summer residence built by Travancore Kings, now converted to a Guest House, is the main place of stay. Charalkunnu is also the place of religious retreats and Christian conventions. Kozencherry, the town famous for Maramon Christian Convention, is only 5 kms from here. 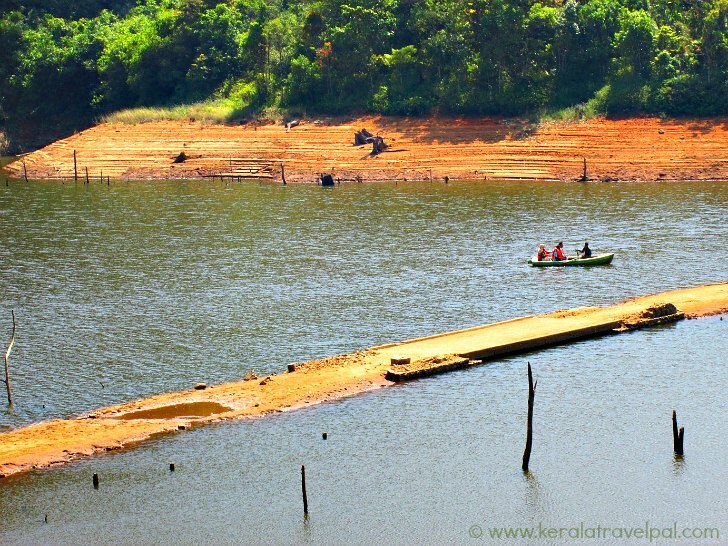 Remote and attractive, the dam site within forest is a good vantage point to spot wildlife. The reservoir is made of two dams – Kakki and Anathode- and is quite large. The best part of Kakki visit is the boating alongside dams and forest beds. Elephants, monkeys and deer are usually sighted on the banks. Though tigers are there, sightings are rare. Birds in plenty make it a great area for bird watching. Kakki is about 20km from Pathanamthitta city. The spice and plantation region of Konni has something even more enticing – an elephant training centre. The outfit nowadays functions as an Elephant Welfare Centre. Baby elephants, estranged from the group and lost in the forest are nursed and trained here. Interestingly, trainer elephants are used to train wild ones to a domesticated life. The facility, spread in 9 acres, has six wooden cages where newly caught elephants are restrained. Perunthenaruvi, located in the dense Sabarimala forest area, is pristine and secluded. A picnic to Perunthenaruvi usually takes up a few hours to half a day, the max. The location of rocks, ravines, and flowers is picturesque. The best time to visit is mornings as rocks tend to get heated by noon. Located in Vechuchira village, the waterfall is 16 Kilometres from Thiruvalla. The river bank town of Aranmula is one of the destinations to visit during Pathnamthitta holidays. The small town has a few attractions. 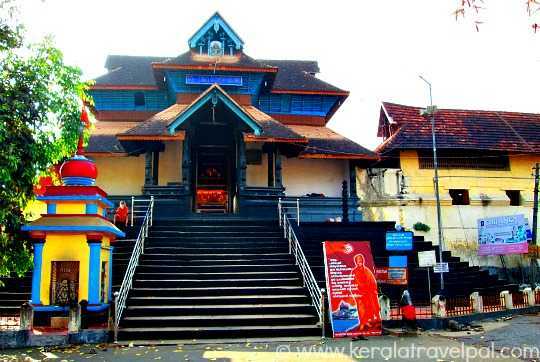 Parthasarathi temple on the banks of river Pamba, is a famous shrine that attract plenty of devotees. The deity here is Sri Krishna. Murals belonging to eighteenth century adorn the temple walls. Aranmula mirror is a leading Kerala souvenir. Handmade here, the mirrors are multi metal alloys polished to perfection. The making of it is a well kept secret, limited to a couple of families. Contemplating about buying a mirror? Pricey, nonetheless a great souvenir of your Pathanamthitta holidays. An event that takes up Aramula by storm is the boat race. The annually held contest of Aranmula Vallom Kali is one of the major snake boat races in Kerala. Each boat carries 100 rowers, 4 helmsmen and 25 singers. Competition is friendly, yet fierce. It is held during August or September, as a part of Onam celebrations. The exciting event is great to attend to, if your Pathanamthitta holidays is during that period. Louba Schild, originally from France settled at Aranmula for several decades. She made great contributions to Kerala Arts through her institute, Vijnana kalavedi. Kalavedi ran courses teaching visitors about ethnic arts and dances. Unfortunately, the Institute remains closed since 2009. Aranmula is located 10 km away from Chengannoor and 16 kms from Pathanamthitta town. The temple is original and historical. Cut out of rock in Pallava architectural style, the squarish cave holds a Siva ling as well as several idols including that of Ganesh. The 8-th century cave temple is a rare find and hence under the care of Archaeological Survey of India. Another temple not too far away is dedicated to the monkey god, Hanuman. Monkeys roaming around in the precinct make it an interesting spot to get to. Thiruvalla, about 5 kms from Kaviyoor, is the major regional town. An eco tourism destination of magical charm, Gavi is one of the top spots to visit during Pathanamthitta holidays. The jungle corridor of Gavi shelters a wide range of wildlife. Elephant, tiger, leopard, bear, deer, lion tailed macaque......the list is quite big. Gavi is home to 320 species of birds! So naturally, the rain forests of the region are precious to bird lovers. About 28 kms past the tea gardens of Vandiperiyar, the jungle hideout of Gavi can be absorbing enough to take up a significant part of your Pathanamthitta holidays. Gavi days are fun filled and thrilling with plenty of trekking, canoeing, wildlife sighting, bid watching, forest camping and night safaris. At 3500 ft from sea level, the undulating terrain of Gavi is surrounded by rainforests and a lake. While Gavi is attractive in many counts, the best of it all is scenic beauty that is simply spectacular. 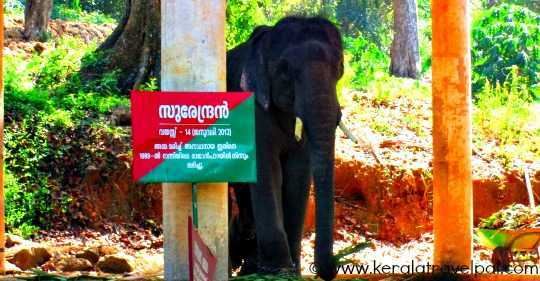 Kerala Forest Department issues entry passes to visitors. Advance booking is the preferred choice. Alternatively, passes can be obtained on the way from Vallakkadavu Forest Check Post. If you are left with enough time, some other spots to include in Pathanamthitta holidays are Vasthu Vidya Gurukulam, Niranam, Mannadi, Pandalam Palace, Malayalappuzha, Kadammanitta and Chilandiyambalam.